Rooney equalised in the fourth minute of stoppage time to break fellow England great Bobby Charlton’s United record of 249 goals. The 31-year-old forward, making his 546th United appearance, surpassed 1966 World Cup-winner Charlton’s record in style when he bent a free-kick past Stoke goalkeeper Lee Grant into the top corner of the net at the Britannia Stadium. 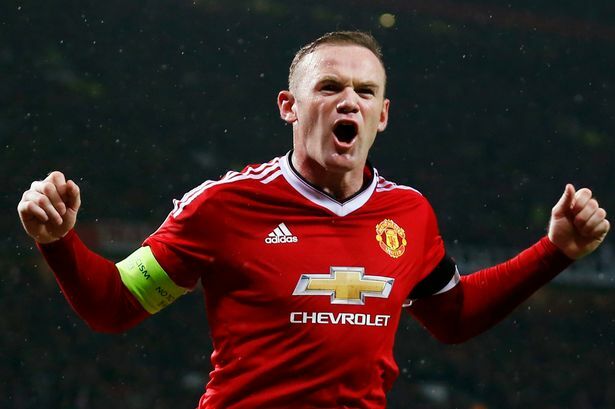 His latest United goal came a fortnight after Rooney, who succeeded Charlton as England’s record goal-scorer in 2015, equalled the former midfielder’s United mark during an FA Cup tie against second-tier Reading. “It means a hell of a lot,” Rooney, who joined United from Everton in 2004, said afterwards. “It is a great honour and I am very proud,” added the Liverpool-born Rooney, who made his name as an out-and-out striker but has been deployed lately as an attacking midfielder. “It is difficult at the minute to be over-pleased because of the result but in the grand scheme it is huge honour. It is not something I expected when I joined. As I said before, I am proud and I hope there is more to come. “The players who have played for this club have been world class. I am proud to play for this club.